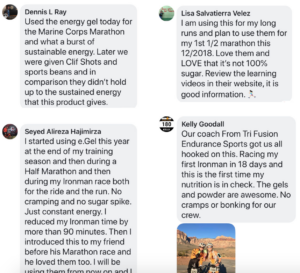 e-Gel has half the sugars of GU and other leading energy gels and it’s the only Electrolyte Energy Gel with 4 times the sodium and double the potassium. When taken with water you can now get balanced hydration, energy and electrolyte replacement in one product. And, with 150 carbohydrate calories, e-Gel packs 50% more energy than most competing energy gels. With e-Gel you get more energy, no sugar BONKS and complete electrolyte replacement to avoid cramping and injuries! Energy Gels by themselves are extremely hypertonic (more concentrated then your body fluids), which means that you have to consume water to ensure that they are rapidly absorbed. This is the case for all gels (GU, Clif Shot and others). Water dilutes the gel and lowers the concentration (osmolality), thus increasing the absorption rate. When you consume just the right amount of water, the combined solution will become isotonic (the same concentration as your body fluids) which allows for rapid absorption, hydration and maximum energy delivery. So, if you drink water with your energy gel like you have to, then how do you replace your electrolytes? 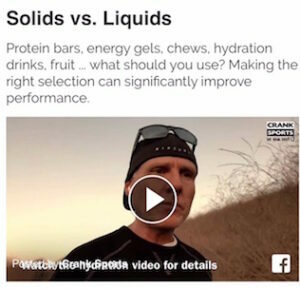 Other energy gels contain electrolytes, but they do not contain nearly enough (see comparisons) to provide adequate electrolyte replacement (even GU says so). e-Gel on the other hand is the first Electrolyte Energy Gel and is designed to provide complete and balanced energy, hydration and electrolyte replacement. In fact, e-Gel has more than 5 times the sodium and twice as much potassium as competing gels. e-Gel and water… that’s all you need in most cases! e-Gel is low in sugar, why is this important? When we spike the level of our blood sugar we have lots of energy … for a little while, and then we come crashing down. This doesn’t work so well for “endurance” athletes. Simple sugars can do just that, a little bit is okay but too much will quickly raise your blood sugar. If it could stay elevated life would be great, but unfortunately it can’t, and when and comes back down it drops (crashes) well below where it started. When this happens during athletic activity it is a dual edged sword. 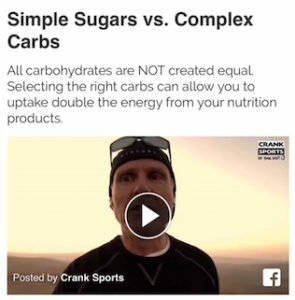 Your performance will drop as the blood sugar drops because your body is depending on that energy, and your body will no longer be able to as efficiently convert your muscle glycogen into usable energy. Here comes the BONK!!! The goal is to maintain a consistent blood sugar level without the spikes and crashes, and this is achieved by relying primarily on complex carbohydrates and low sugar levels, and that’s exactly what you get with e-Gel Electrolyte Energy Gel! Check out our e-Fuel Hydration Drink Mix. Like e-Gel, e-Fuel is lower in sugars but loaded with complex carbohydrates (that’s a good thing) and balanced electrolytes to maintain hydration and avoid cramping and injuries. e-Fuel is all natural with no artificial flavors, colors or sweeteners … it’s just clean energy!